Kanye West, Kid Cudi, and Ty Dolla Sign are being sued over their Kids See Ghosts collaboration “Freeee (Ghost Town Pt. 2),” the Blast and TMZ report. According to court docket paperwork obtained by the Blast, actor and performer Ronald Oslin Bobb-Semple is suing them, Def Jam, and Universal Music as a result of he claims they “exploited the actual voice, words and performance” of his 2002 recording titled “The Spirit of Marcus Garvey (Garvey speaks to an all-Black audience)” with out authorization or financial compensation. The go well with alleges that “Bobb-Semple’s voice and authorship is heard in the introductory words” of “Freeee (Ghost Town Pt. 2).” Bobb-Semple is reportedly in search of unspecified damages and an injunction towards West, Cudi, Ty Dolla Sign and the file labels to cease them from persevering with to revenue off his work. 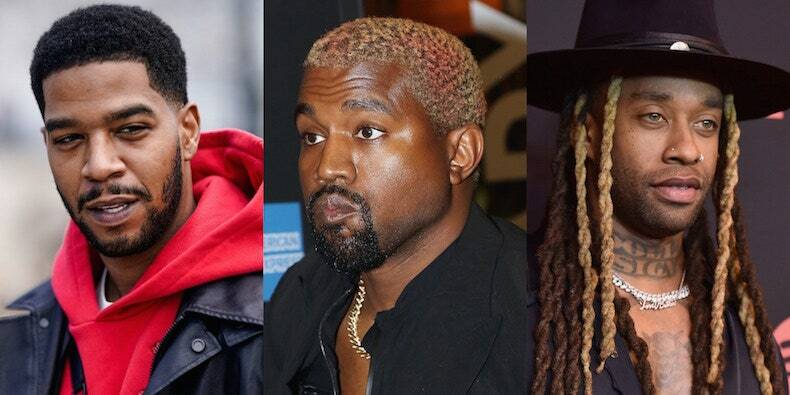 Pitchfork has reached out to representatives of Kanye, Cudi, and Ty Dolla Sign for remark or additional info. According to TMZ, “The Spirit of Marcus Garvey (Garvey speaks to an all-Black audience)” is a presentation by Bobb-Semple in tribute to Marcus Garvey, a pioneering black rights activist of the early 20th century.